DMC: Devil May Cry was released in 2013 for Playstation 3, Xbox 360 and the PC by Ninja Theory, who took over production from Capcom after working on the Heavenly Sword game for the PS3. I both love and hate this game, but lets talk about it in depth before I can get to what I really despise about it. Now we’re talking! Devil May Cry 3: Dante’s Awakening was released for the PS2 in 2005, and is a strong candidate for the best game on that console. It’s also a prequel (Castlevania 3 much? ), and is close behind Metal Gear Solid 3 on my top game list. Devil May Cry 2 was released in 2003 for the PS2 and is considered the black sheep of the franchise, much in the same way that Castlevania 2: Simon’s Quest was the outcast of that franchise (told you there were comparisons!). This is also the only game in the series that I really, REALLY have complaints with. Capcom released devil May Cry in 2001 for the PS2, about a demon hunter who single handedly sieges an evil castle to take down an ancient evil. So we kick off the Castlevania references early, though this only picks up when we look at the sequels. Metal Gear Rising was released in 2013 by Platinum games, and is the spin off to the Metal Gear Solid franchise, staring Raiden from the second game. And yes I know this game’s full title is Metal Gear Rising: Revengence, but I refuse to refer to it as such! Really? Revengence? Metal Gear Solid: Peace Walker was released in 2010 for the PSP, though was later ported to the Xbox 360 and Play Station 3 as part of the Metal Gear Solid HD collection. Normally I wouldn’t bother reviewing a spin off game for a portable console, since the purpose of the Things I Remember series is to analyze how sequels evolved and grew from one another. Before I begin talking about Metal Gear Solid 4, I need to discuss my opinion on spin off games. The reason I won’t review Metal Gear Solid: Portable Ops is partially because I never played it, but also because I don’t feel like it has a place in the main series. I’ve been looking forward to talking about this game; Metal Gear Solid 3 is without a doubt my favorite game of all time. Top of the list…. Cream of the crop…. Best game ever! And that’s no exaggeration. Has anyone noticed that Metal Gear Solid has a parallel development history to Castlevania? We have the first game, a classic on their respective consoles, and then you have the second game, which is…less so. Not that Metal Gear Solid 2 is a bad game, but it does have some huge issues holding it back. Metal Gear Solid, released in 1998 by Konami and directed by Hideo Kojima, is a strong candidate for the best game on the Playstation and a personal favorite of mine. At the time of writing this Metal Gear Solid 5 is on the way, but more immediately it’s prequel game Ground Zeroes is released this month. Has anyone noticed that Insomniac has a near parallel history to Naughty Dog? Both received acclaim for a trilogy of games developed exclusively for the PS1, then went on to create an another for the PS2, with Ratchet and Clank and Jak and Daxter respectively. 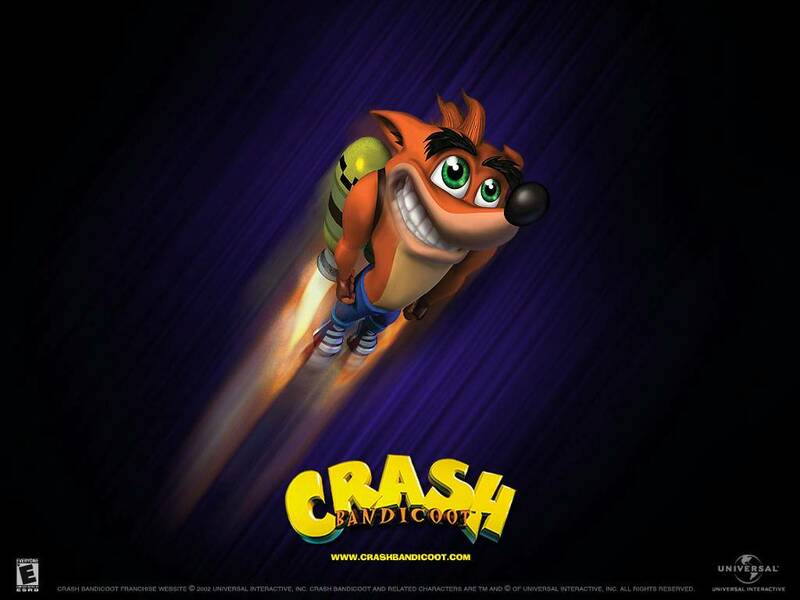 Crash Bandicoot; a Playstation One exclusive from 1996 by developer Naughty Dog, Crash holds a special place in my heart, being the first game I ever played. There’s something you want me to talk about here right? Don’t play dumb. If you’ve even been remotely connected to the online community for the past few years, odds are you’re at least heard about the fan reaction to this game. Well, lets not get ahead of ourselves, and save the ending for the end. Mass Effect 2. If you ask any gamer remotely involved in the sci-fi genre, chances are this beauty is in their top 10. Released in 2010, Mass Effect 2 is the sequel to Gears of War 3. And now that you’re done not laughing at the previous sentence, lets dig into this masterpiece!